What Rights Do Student Loan Borrowers Have? The Consumer Financial Protection Bureau (CFPB) has released a document accusing student loan servicers of unethical practices. Examiners with the CFPB found evidence that student loan servicers were misleading borrowers by telling them their student loans are not dischargeable in bankruptcy. Other findings included in the report claim that student loan servicers charged improper late fees, lied about minimum payments, failed to provide accurate tax information and harassed borrowers who were late on making payments. The findings from the CFPB report are troubling. With private and federal student loans accounting for more than $1.2 trillion worth of debt across the nation, it is important that borrowers get the right facts. What Options Are Available For Student Loan Borrowers? Student loan servicers claiming loans are not dischargeable in bankruptcy are incorrect. In cases where undue hardship can be proven, student loan borrowers can have balances eliminated or significantly reduced. 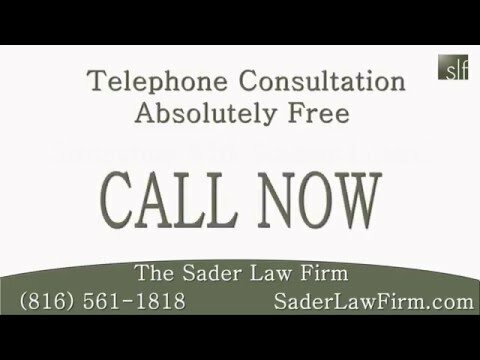 The Sader Law Firm knows this from personal experience, as we were successful in reducing a client’s student loan debt by more than $250,000. As we have mentioned on our blog before, student loan borrowers are protected under the Fair Debt Collection Practices Act. Loan servicers are not allowed to misrepresent information about debt or harass borrowers. In the CFPB report, it was found that servicers routinely called borrowers at inopportune times and lied about monthly payments. It is important for individuals with large amounts of student loan debt to know there are options. Loan servicers might not always be honest with borrowers because there is a financial incentive to be dishonest. Consulting with a bankruptcy attorney can help borrowers know with certainty what options are available to discharge student loan debt.